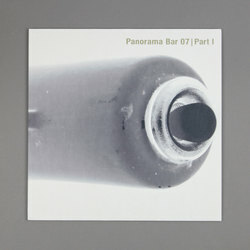 Various Artists - Panorama Bar 07 Part 1. Vinyl 12. Bleep. The Panorama Bar mix series strikes back for its 7th instalment with club veteran and psych- house maestro Andreas Baumecker aka nd_baumecker. A Berlin and Panorama Bar resident since 2004, Baumecker’s sets have long been known to heads as a foundational part of the club’s identity: deep, unpredictable, funky, bassline-heavy, melodic, and seamless flowing between different rhythms and key-changes. As a producer, Baumecker’s studio focus (with Sam Barker in Barker & Baumecker) sits comfortably between pop, dancefloor and spiralling left field electronics; on top of two LPs and numerous EPs on Ostgut Ton, the duo have also remixed the likes of Vessels and shoegazers Ride. But Baumecker honed his musical sensibility not only through DJing and studio work, but also as a buyer for famed Frankfurt record store Delirium (founded by Ata and the late Heiko M/S/O), as well as an in-house booking agent for Berghain / Panorama Bar. This composite identity as a selector, collector, club curator and musician feeds heavily into the diversity of Baumecker’s 120-minute vinyl-only mix – including the six exclusive tracks over two 12”s. FaltyDL kicks off Panorama Bar 07 | Part I with the appropriately titled “Paradox Garage Part 1 (With Your Love)”, blending US garage, breakbeats and chopped vocals. The alternative rhythms continue with Jinjé (of Vessels fame) slowly building machine-funk anthem “Big Skies”, while the B-side is reserved for Gen Ludd’s dreamy, shutter-opener “Bloods Avalanche”.